What is Living the Eucharist? During Lent, our parish is participating in Living the Eucharist (LE). Living the Eucharist is a parish-based renewal experience that fosters spiritual growth and discipleship by promoting full, conscious, and active participation in the Eucharist. This Lenten spiritual renewal program provides us with opportunities to grow in our faith through learning more about the Eucharist, participating more actively in Sunday Mass, and Living the Eucharist each day as disciples of Jesus. The materials are available in English and Spanish. Parishioners take part in any of the following ways: by joining adult and teen small groups, engaging in family activities, and reading catechetical bulletin inserts. The season of Lent is a natural time to deepen our faith and turn to the Lord in an even more powerful way. Living the Eucharist provides a setting for small faith-sharing groups to enter more fully into this sacred season and deepen their understanding of their faith, in the Eucharist, and in their role as active disciples of Jesus Christ. Prayerfully consider taking your faith to a powerful new level this Lent by engaging with your fellow parishioners in the sacred journey that is Living the Eucharist. This program will help you have a life-changing season of Lent. Join with us! 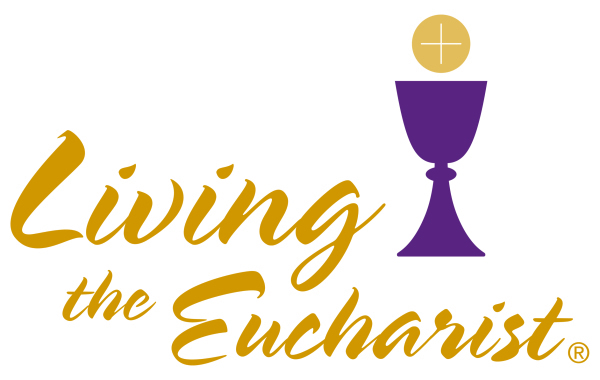 For more information about the Living the Eucharist program or to join a group, please contact Jorge Medina at 407-695-3262 or aff@saintaugustinecc.org .